This abandoned house of worship in Manning is no longer standing. Called Live Oak Methodist church, the congregation formed after the Civil War. The simple Greek Revival sanctuary shown here was built for the church around 1887. 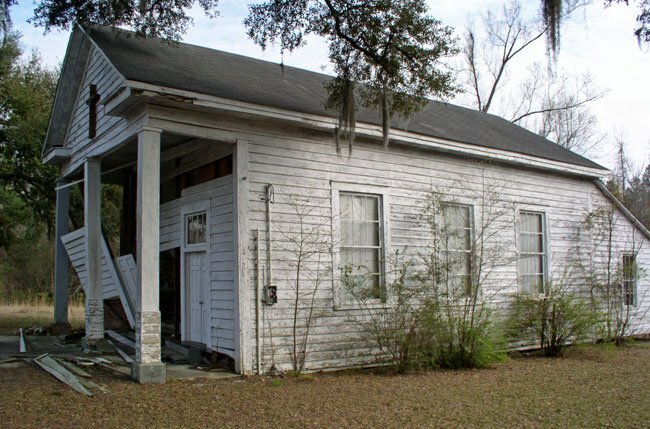 It served the parishioners of Live Oak Methodist for nearly a century, closing in February of 1986. Live oaks (Quercus virginiana) flank the entrance to the church, likely lending to its name. 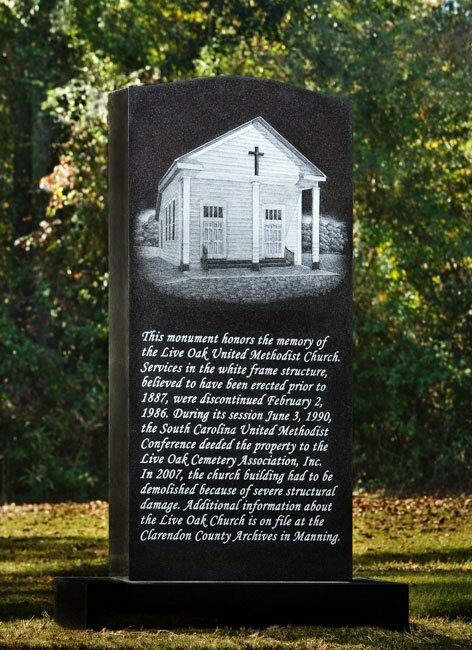 In 1990 the South Carolina United Methodist Conference deeded the church and surrounding property to the Live Oak Cemetery Association. 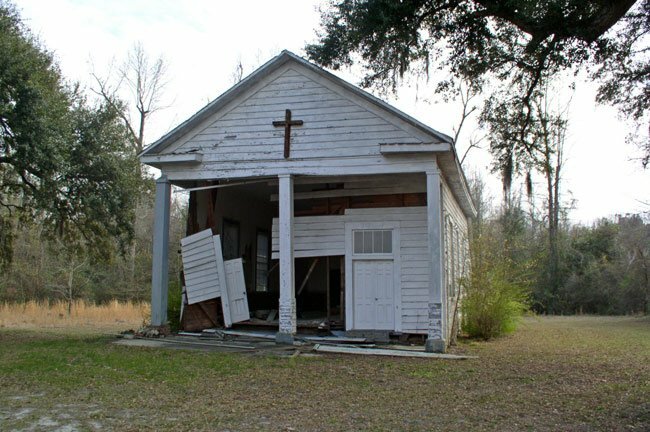 After sitting vacant and neglected for over two decades, the church was finally demolished in 2007 due to structural damage. Live Oak Cemetery lies adjacent to the empty lot on which the church stood. We would like to make this page better. Do you have any information about Live Oak Methodist Church that you can add? If so, please send it to the South Carolina Picture Project. Thank you!